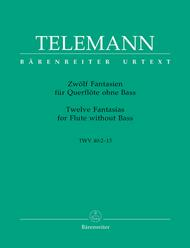 The Fantasias for flute without bass address themselves less to the virtuoso than to the amateur flutist, who will find everything he wishes in these pieces. 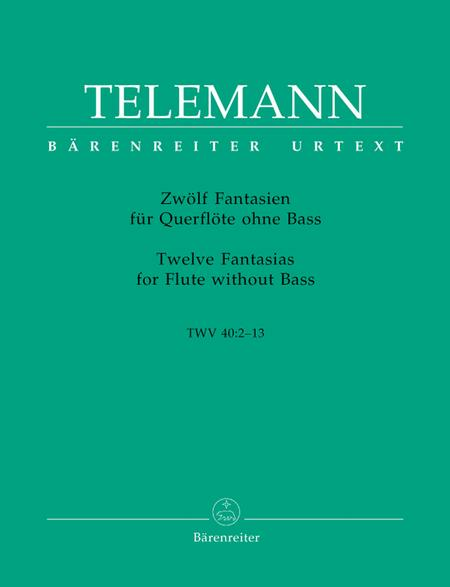 Although Telemann himself may have lost track of his works, the many flutists who have perfected their technique and musical interpretation with the help of these lovely Fantasias will never forget them. octaves thus allowing that student to well sort out clean technical and in tune playing, along with acquiring the nuances of the Baroque style. Some of the fantaisies are certainly easier than others (ones that are a more in a traditional one-tempo per movement structure). 12 of 27 people found this review helpful. This music book was given to me as a gift. I haven't played anything that challenged me like this. It is very nice. I am still trying to figure out all the dynamics of it. 25 of 45 people found this review helpful. this for high school and pre-college players.